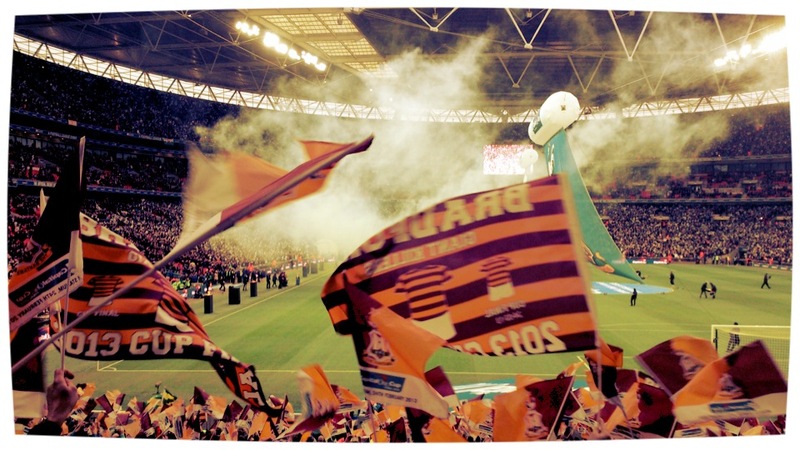 Bradford City FC captured the hearts of the football world back in 2013. The Bantams embarked upon one of the greatest cup run’s ever seen in the history of English football. It was a run that lead them above and beyond the behemoths of the Premier League, past League Two minnows and right to the grandiose final at the home of football, Wembley Stadium. It’s been over a year since the end of the 2012-13 season which culminated with City’s second visit to Wembley, victory in the League Two Play-off final and promotion. For the Bantams, it’s been a period of consolidation, acclimatizing to a new league and signing new players to meet the quality standards in League One. Mere survival in League One would have satisfied the majority of City fans but as it transpired, Phil Parkinson lead the team to a relatively comfortable 11th placed finish. Overall, it was a good campaign for the Bantams, despite a winless run of 13 League games in the middle of the season and one the team can be proud of. However, no fewer than thirteen of the squad from the 2013 play-off final have left the club and it seems the side has reached a watershed moment as the history makers are slowly being disbanded. It was a cold and frosty night in December 2012; City had beaten Wigan on penalties to set up a dream quarter-final tie against Arsenal. The Gunners had made the long trip north for what was to be the biggest game the City of Bradford had seen in a number of years. The local fans packed the stands more in hope than anticipation. A capacity crowd of 23,971 drummed up one of the most memorable atmosphere’s Valley Parade has ever seen and in the 16th minute, heaven was momentarily painted claret and amber. A Gary Jones corner from the right was met by the head of James Hanson who flicked the ball across the box to the far post. Garry Thompson was on hand to guide the ball past Wojciech Szczęsny and into the roof of the Arsenal net, momentarily shaking the football world. It was the defining moment of Thompson’s career at City; a truly iconic moment in the history makers’ season. Thompson will be fondly remembered for that goal. However, he carried a greater importance to the team; he made two assists for Hanson and Nahki Wells in the play-off final and scored a brilliant goal to reduce the deficit against Burton Albion in the first leg of the play-off semi-final. “There were enough special moments for me that year to fill a whole career, it was unbelievable. It was a season which will never be repeated. He may not have been the most gifted player in the side but Thompson left a lasting impression at City and leaves with “…a lifetime of memories…” as he joins Notts County after his release. Nathan Doyle, Gary Jones’ partner in crime in the centre of midfield and a key player during the quarter-final against Arsenal. Technically adept and strong in the tackle, Doyle was at his best against the Gunners where, alongside Jones, he stifled the midfield and never gave the Arsenal players a moment’s peace on the ball. Doyle played a vital role in the team, not only did he show the courage to step up and take the most important, first penalty against Arsenal, he showed the skill to despatch it as well. This was preceded by scoring his penalty against Wigan Athletic in the 4th round and a pin-point cross set up Rory McCardle’s header in the play-off final against Northampton Town at Wembley. On 9th June 2014 it was announced that Doyle would leave the club at the end of his contract. Doyle and Jones had formed a successful partnership at the heart of Parkinson’s team, forming the bedrock on which the majority of the clubs recent success was achieved. It is disappointing to see Doyle leave as he brought a touch of class to the midfield and he was noticeably absent on the occasions he didn’t play in the 2013-14 season. Jones’ performances were recognized as he was voted Player of the Season in the 2012-13 season. His never say die attitude, exemplary professionalism and ability to lead the team were all priceless attributes. It was a sad day in May when it was revealed Jones would be released at the end of his contract in 2014. “Never in my wildest dreams could I imagine I’d have two years like that. They’ve probably been the best of my career. He went on to describe how special the club had been to him. “The whole place has meant so much to me and the fans have been amazing. They’ve made me and my family so welcome. “When you walk out at Valley Parade in front of 14,000-15,000 people, it made us feel ten foot tall. You were invincible. Jones was the backbone of Phil Parkinson’s side and it’s a very brave decision to let such an integral part of your team leave. One thing is for certain though, Jones’ affinity with the fans and his performances on the pitch will mean he is etched into Bradford’s history as one of the legendary players, alongside the likes of Stuart McCall. 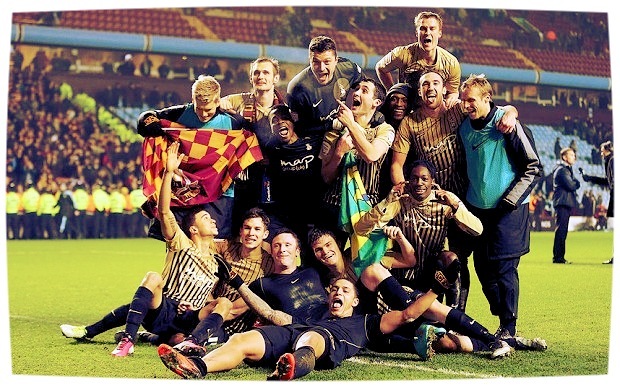 Bradford’s biggest night in 2013 saw Aston Villa make the trip north to visit Valley Parade and after the unthinkable had happened against Arsenal, City were now somehow fighting for a place in the League Cup final; the first side from the bottom division to do so for a number of years. Nahki Wells reignited the dreams of the Bradford fans as he opened the scoring. Villa failed to clear a corner and a deflected shot from the edge of the area landed kindly at the striker’s feet, behind the Villa defence; the crowd jumped to their feet and an initial glance over to the assistant referee confirmed Wells was onside. There was a moment of silence as he composed himself and calmly passed the ball into the bottom corner, past the on-rushing Shay Given thus sparking euphoric celebrations inside Valley Parade. The script had been torn up yet again. Rory McArdle then made it 2-0 before Andreas Weimann managed to capitalise on a defensive error and reduce the deficit for Villa. However, a young Irishman stepped up to restore City’s two goal advantage. In the 88th minute, Carl McHugh rose above everyone in the Villa box to meet a Gary Jones corner. McHugh hung in the air above his marker and guided his header majestically into the top corner of Shay Given’s goal as the first leg of the semi final reached its crescendo. Wells was prolific throughout the 2012-13 season and he went on to score the third goal in the play-off final victory against Northampton Town at Wembley. A controlled volley at the back post exorcised the ghosts of the League Cup final against Swansea and capped a perfect season for the Bermudan. 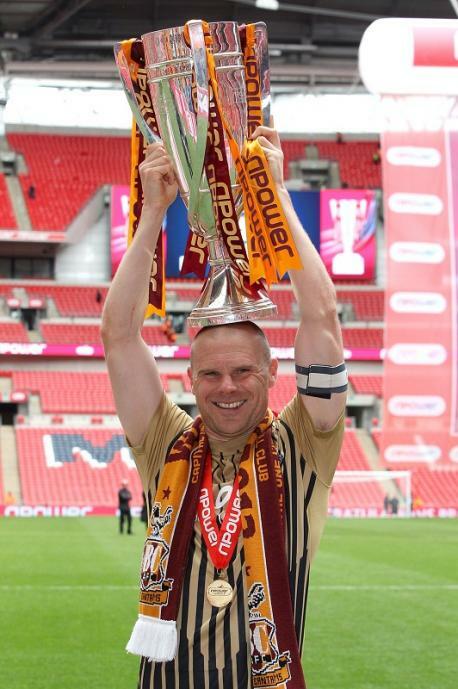 Wells had gone from relative obscurity to Bradford’s prized asset in his two and a half season at the club and his goals were integral in City’s rise from League two. He was eventually sold to local rivals Huddersfield Town in the January 2014 transfer window for an initial fee of around £1.5 million. Wells was arguably the most important player in the side and the two goals he scored in the comeback against Burton Albion in the play-off semi-final epitomized this perfectly; his pace and clinical finishing were feared by the opposition and his absence was felt considerably after he left. His departure coincided with City’s slump in form and subsequent lack of goals in the second half of the 2013-14 season. Carl McHugh’s departure to Plymouth Argyle is understandable as he searches for consistent first team football, something which he wasn’t given at City. Despite this, the young defender showed his versatility playing at left back and centre back when required and debuting for the Republic of Ireland Under-21 side. Although it’s disappointing to see a relatively young player leave so early in his career, his contribution to the side and his header against Villa were unforgettable. The history makers’ side is now almost completely disbanded as the mass exodus of players continued throughout the summer of 2014 and Parkinson begins to rebuild his squad. Quick and tricky wide man, Kyel Reid showed his best qualities against Northampton as he terrorised the opposition right-back for most of the game at Wembley. Although Reid was hit-and-miss during his time with the Bantams, he had the ability to make something out of nothing but his end product often let him down. It’s disappointing to see him leave for Preston North End after an unfulfilled, injury-hit season and although Bradford fans will no longer chant his name to the sound of Joy Division, he holds a well deserved place as one of the history makers’. Other members of the squad have also left the club since the promotion to League Two. Penalty shoot-out hero, Matt Duke left after his contract expired in 2013; ironically for Northampton Town in July 2013. Duke was joined at the Cobblers by Ricky Ravenhill and Alan Connell in January 2014 and Zavon Hines joined Dagenham & Redbridge in 2013. The play-off final goalkeeper, Jon McLaughlin also left in the summer of 2014 for Burton Albion after his contract expired. The history makers of 2012-13 have now almost completely disbanded but they will remain immortal in the eyes of City fans. Not only will their names echo through the halls of Valley Parade for an eternity, they will hold a special place in the heart of every fan, the young, the old and all those in between. The players will go their separate ways in life, but their tale will be passed from generation to generation. They will be remembered, treasured and idolised by a club that was desperate for a glimmer of hope in the dark and seemingly endless quagmire which followed Premier League relegation in 2001. ← What next for Ravel Morrison?